A teenager from Kent has spoken in Parliament about her own mental health struggles and the importance of involving young people in shaping and improving the services that support them. 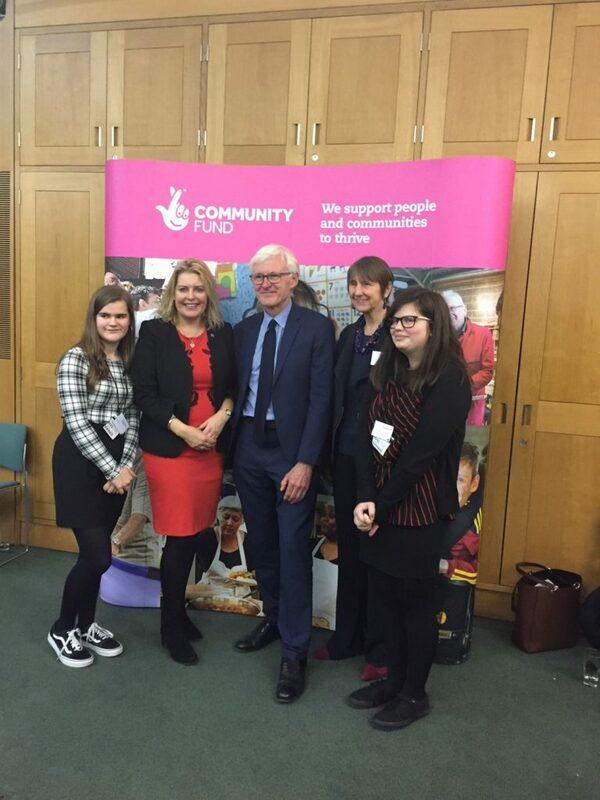 On Tuesday, February 5, four young people, from Folkestone, Ashford and The Canterbury High School, attended a Parliamentary event on the mental health of young people organised by The National Lottery Community Fund for HeadStart partnerships. The event, hosted by the Rt Hon Norman Lamb MP, aimed to help the partnerships highlight their current learning, and support both the sustainability of HeadStart partnerships and the legacy of the programme and its evaluation through engaging a variety of stakeholders. Mr Lamb spoke about why HeadStart must make young people’s mental health a priority. Jess Griffiths, 19, from Folkestone, who is a Young Carer and has been involved in the HeadStart Kent programme since 2016, spoke about her own experiences, emphasising the importance of co-production and ensuring young people have a say in how services are developed locally. During her speech she said: “If someone had said to me two years ago that I would be standing up here in front of this many people – speaking – I would have run a mile! When I got involved in HeadStart I was struggling at school. I didn’t have very good attendance, or a great relationship with my teachers, and was always told I was never going to achieve anything in my life. All MPs were invited to the event as well as key stakeholders who have an interest in this area. 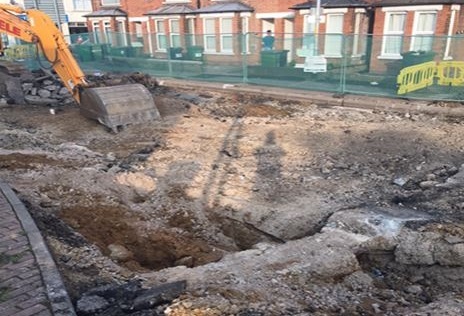 This included government departments working in the field and funders. Representatives from the Department for Education, NHS England, and various charities were also in attendance. 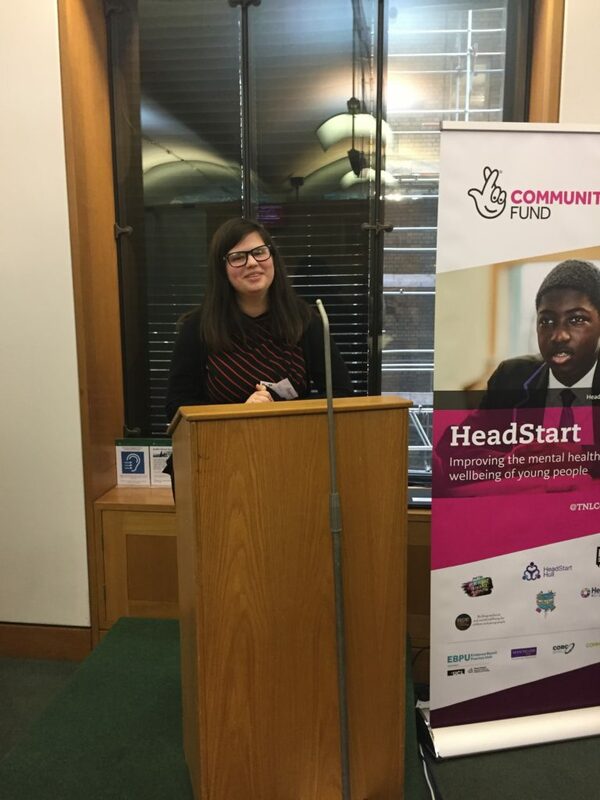 During the event, The National Lottery Community Fund highlighted a report, produced by Anna Freud Centre, which surveyed mental health prevalence, attainment and exclusion statistics of 30,000 young people who attend HeadStart schools. 1,353 staff have received training in Resilience, Mindfulness or Young People’s Mental Health First Aid. 5,775 face to face and support interventions have been given to young people across Kent. 10,000 Young People in Kent completed the annual Wellbeing Measurement Framework survey. HeadStart is part of the five-year £56 million National Lottery funded HeadStart programme set-up by the National Lottery Community Fund, the largest funder of community activity in the UK. HeadStart aims to explore and test new ways to improve the mental health and wellbeing of young people aged 10 to 16 by supporting them to build their resilience. Six HeadStart partnerships in Blackpool, Cornwall, Hull, Kent, Newham and Wolverhampton are working with young people, schools, families, charities, community and public services to make young people’s mental wellbeing everybody’s business. HeadStart Kent is part of Children, Young People and Education Services and aims to help young people cope better when faced with difficult circumstances in their lives, preventing them from experiencing common mental health problems. HeadStart Kent aims to make changes through schools, families and within communities and has been designed with young people at its heart to make young people’s mental wellbeing everybody’s business. Young people aged 10-16 years can attend Speak Out, where they are able to get involved in the design, delivery and evaluation of the programme. The programme is on track to deliver the programme to the planned number of 133 schools over the five years. The National Lottery Community Fund is the largest funder of community activity in the UK. It puts people in the lead to improve their lives and communities, often through small, local projects.